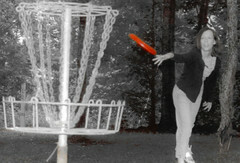 The first photo is of my beautiful wife, Jennifer, playing frisbee golf during our anniversary trip last weekend. I have been blessed with three years (as of June 12) of being married to her. By the way, she made the shot! 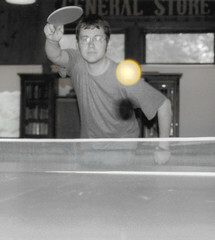 The second photo is one she took of me playing ping pong.